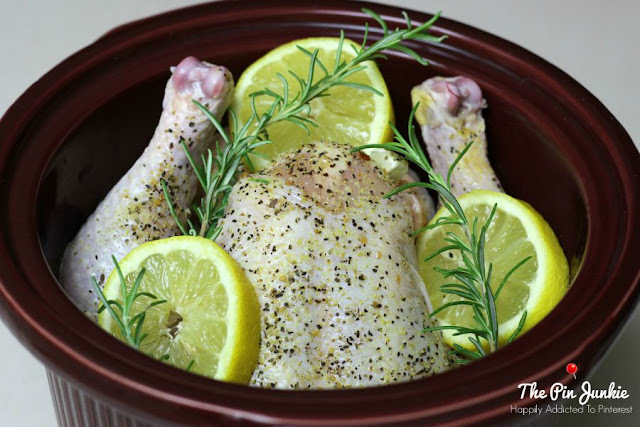 Did you know you can cook a whole chicken in your crock pot? 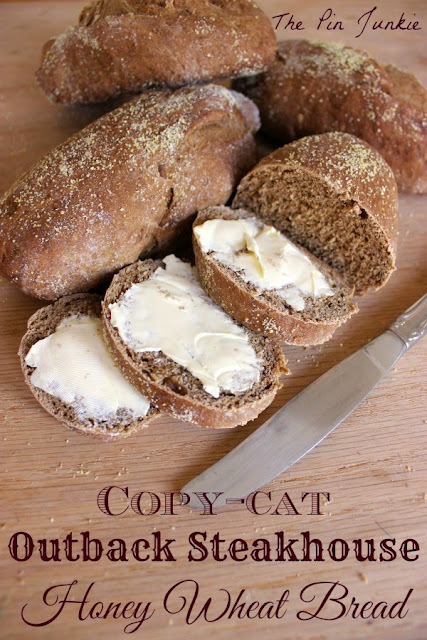 Crock pots and slow cookers are great for busy days when you don’t have time for making dinner. 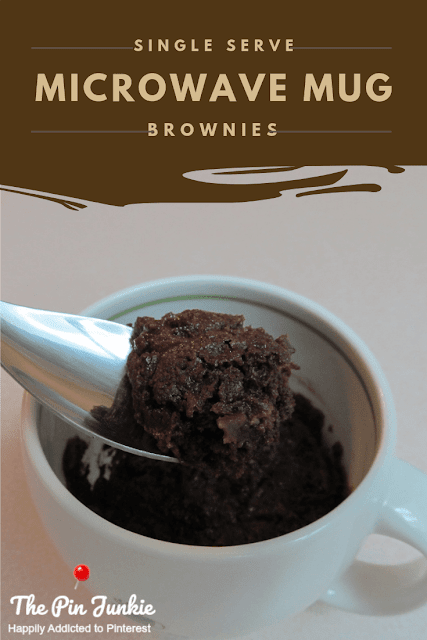 With just a little bit of pre-planning, you can throw everything in the crock pot in the morning, turn it on, and come back to a hot cooked meal at the end of the day. Crock pot meals are also nice in the summer since you can cook dinner without turning on the oven on an already hot day. I also like being able to cook a chicken in the crock pot for dinner one night and then using the leftover chicken for another meal later in the week. Another great benefit to cooking a chicken in a crock pot is that the chicken stays really moist and tender. Not only is this chicken juicy and tender, but it's also exceptionally fragrant and the lemon flavor gets concentrated in the chicken. 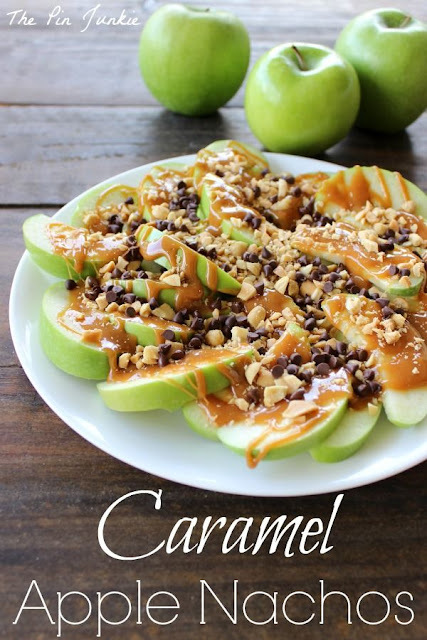 This was a great recipe that I'll definitely be making again. This lemon rosemary chicken is great for busy days when you don’t have time for making dinner. 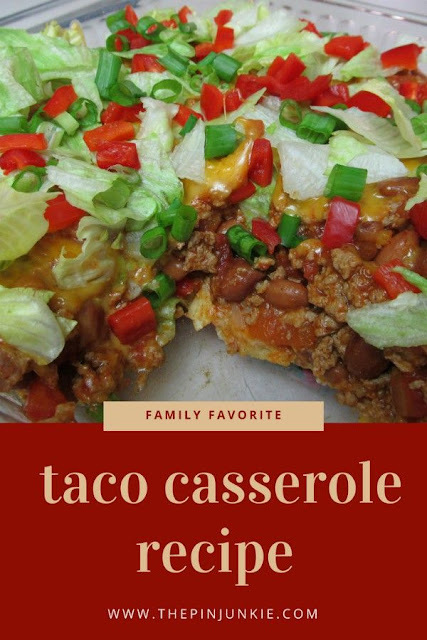 With just a little bit of pre-planning, you can throw everything in the crock pot in the morning, and come back to a hot cooked meal at the end of the day. Remove the innards from the chicken. Thoroughly rinse and dry the chicken. 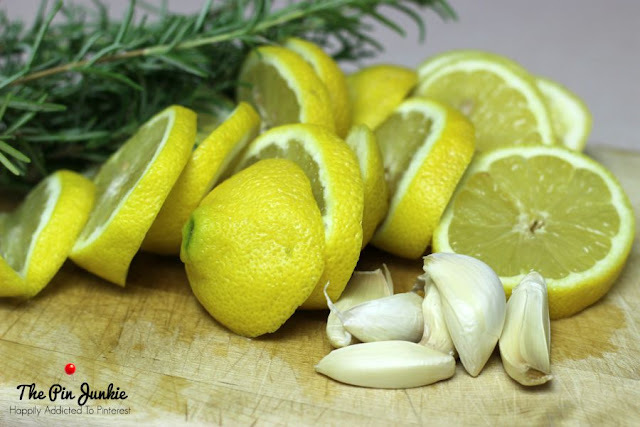 Place the lemon slices, garlic, and rosemary in the cavity of the chicken. Season the chicken with salt and pepper to taste. Place the chicken in the crock pot. Add remaining lemon and rosemary to the top of the chicken. Cover and cook on high for six hours. 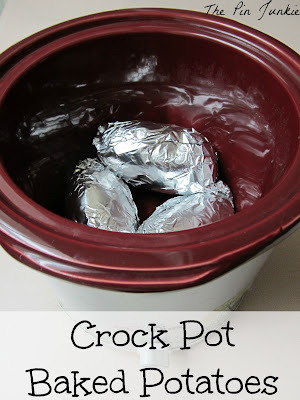 You can bake potatoes in the crock pot too! 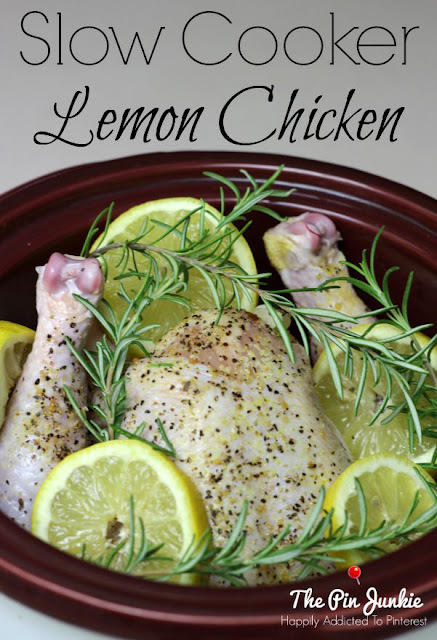 Inspired by this pin for slow cooker lemon rosemary chicken.